Be the first to hear about their new releases and deals. Download the Booksprout app and search for Donna McDonald today! 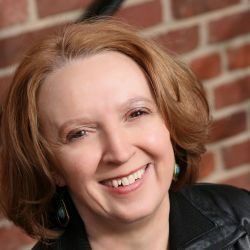 Donna McDonald published her first romance novel in March of 2011. Fifty plus novels later, she admits to living her own happily ever after as a full-time author. Her work spans several genres, such as contemporary romance, paranormal, and science fiction. Humor is the most common element across all her writing. Addicted to making readers laugh, she includes a good dose of romantic comedy in every book.